The 22nd edition of the Famous Idaho Potato Bowl will see the MAC Western Michigan Broncos against the Independents Brigham Young Cougars, as the Broncos are looking to secure their first title here in their second bowl, while the Cougars are hoping to get the first title on their debut here. The Cougars are favorites at the -12 spread with the total at 50 points and Brigham Young at -500 money line odds. 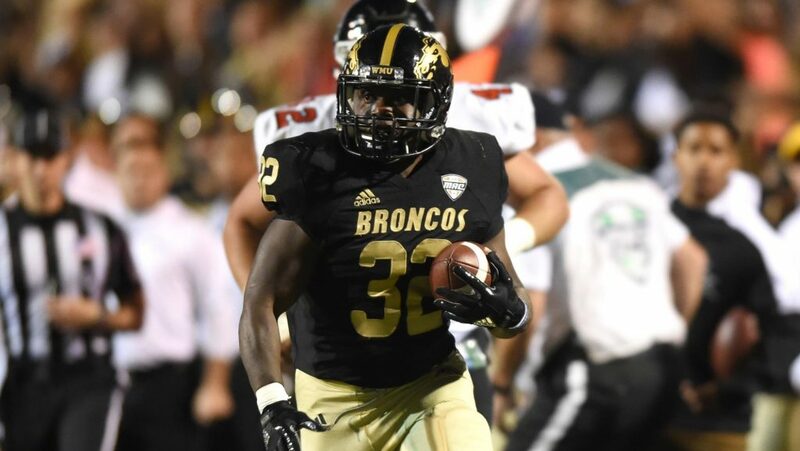 Western Michigan was in an excellent form of six consecutive victories before they suffered three straight defeats to Toledo, Ohio, and Ball State but bounced back with a home win over the Northern Illinois Huskies, 28-21. The Broncos played sturdy defense in the second and final quarter, keeping the visitors off the scoreboard and totaling 379 yards in opposite to the Huskies’ 262, while Western Michigan won six more first downs (22-16). Western Michigan’s running failed to provide the season average of over 200 yards as they recorded just 94 on 46 carries but they scored three touchdowns, mostly thanks to JamauriBogan’s two. On the other hand, the passing game was better in term of yards but Kaleb Eleby didn’t throw a passing touchdown in this one. Freshman quarterback KalebEleby is completing 64.9 percent of his passes for 917 yards, four touchdowns and a couple of interceptions for the Broncos. Eleby had 285 yards on 19 completions in a win over the Huskies but ended the game without a touchdown and he will definitely be looking to add at least one in a tilt against the Cougars. Wide receivers Jayden Reed and D’WayneEskridge will beEleby’s options in the offense as they combined for over 1500 yards and 11touchdowns so far in the season, while LeVante Bellamy and JamauriBogan willrun the ball on the ground and will represent a big threat considering they arecombining for around 1800 yards and even 21 touchdowns. Western Michigan hasthe 63rd offense that is averaging 33.2 points per contest, while their defenseis the 103rd in college football as it is allowing 33.3 points per game. TheBroncos’ passing game is the 55th in the country as they are averaging 242.6yards, while their running offense is better as they are recording 204.6 yardsper game (31st). BYU secured a pair of comfortable victories over UMass and New Mexico State but they failed to make it three in a row as the Utah Utes came from behind to beat them, 35-27. The Cougars were great in the opening half as they didn’t allow the hosts to score and kept them off the scoreboard, scoring 20 points in return but Utah was excellent in the second 30minutes and scored 21 points in opposite to BYU’s zero in the final quarter to get a win. Matt Hadley added two rushing touchdowns as Brigham Young posted 153 yards on the ground, while Matt Bushman and Neil Pau’u scored a passing TD apiece. Freshman quarterback Zach Wilson is completing 62.2 percent of his passes for 1261 yards with eight touchdowns and three interceptions for the Cougars. Wilson threw for 204 yards with two touchdowns and an interception in a loss to the Utes and he should have another 200+ yard game against the Broncos’ defense that allows 209.3yards to the opposing receivers. Matt Bushman and Talon Shumway will likely be Wilson’s preferred targets in the air, while the trio of running backsLopiniKatoa, Squally Canada, and Matt Hadley have the ability to cause problems on the ground as they combined for 19 touchdowns this year. Brigham Young has the 94th offense that is averaging 25.4 points per contest, while their defense is the 28th in college football as it is allowing 21.7 points per game. TheCougars’ passing game is the 95th in the country as they are averaging 199.6yards, while their running offense is slightly better as they are recording154.9 yards per game (88th). These schools have never met before and I am giving a slight advantage to the Cougars as their head coach has bigger experience when it comes to the bowl games as he won the Poinsettia Bowl withBYU back in 2016, while this will be the first-ever bowl game for the Broncos’HC Tim Lester. However, the -12 spread is a bit too big in my opinion andWestern Michigan is not a bad team, so I am sure they will put up a fight in this one. Brigham Young does have a strong defense but this tilt will be tighter than the odds are suggesting and I am sure Broncos can hurt the Cougarswith Jayden Reed and D’WayneEskridge through the air and LeVante Bellamy andJamauriBogan on the ground. The total is set at 49.5 and consideringWestern Michigan’s offense and defense, we could see around 60 points here but the Cougars are on the other side and their defense will definitely not let this game to become a high-scoring affair. I expect a close encounter with no more than 49 points and that’s why I am going with under and also because under is 5-1 in Broncos last six games after accumulating more than 280 yards passingin their previous game; under is 13-3 in Cougars previous 16 games following aATS win, while under is 20-7 in Cougars last 27 Friday games.